Like its best-selling predecessor, this invaluable guide demonstrates to students how to care for patients, prepare for clinical rounds, and study for the end of rotation examination. 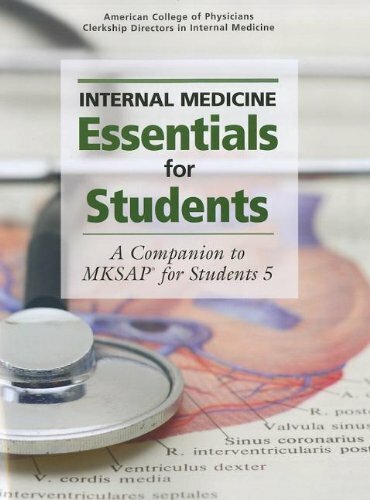 Organized around the major training areas included in the nationally recognized Core Medicine Clerkship Curriculum Guide, IM Essentials contains 10% more content than the second edition, over 250 additional differential diagnosis tables and treatment algorithms, and over 70 color plates. Its usefulness is enhanced by links to over 460 pages of online materials, including new clinical photographs, tables, screening tools, and other instruments.